State Councilor and Foreign Minister Wang Yi met the press Friday morning on the sidelines of the second session of the 13th National People's Congress. Wang takes questions regarding China's foreign policy and diplomatic relations. The world is experiencing profound shifts unseen in a century and the Chinese diplomacy has reached a new starting point. "We will remain on the path of peaceful development, work for win-win outcome, uphold existing international systems and shoulder more international responsibilities." Over the past 70 years since the foundation of the People's Republic of China, Chinese diplomacy has established a fine tradition with distinctive features. China has been committed to denuclearization and the peaceful settlement of the Korean Peninsula issue and its role is irreplaceable. The Hanoi summit between Pyongyang and Washington was an important step to solve the issue. The leaders from both countries overcame obstacles and exchanged views face-to-face in a candid way, which is a positive progress and should be applauded. The second forum on the Belt and Road cooperation will be held in Beijing in late April, with more comprehensive cooperation. President Xi Jinping will deliver a keynote speech during the opening ceremony. The Belt and Road Forum for International Cooperation, or BRF, will have more foreign heads of state and government than the previous forum and thousands of delegates from over a hundred are expected to attend. China supports the company and individual in question in seeking legal redress to protect their own interests and refusing to be victimized like silent lambs. The Chinese government has and will continue to take all necessary measures to safeguard the legitimate rights and interests of Chinese businesses and citizens. "This is the duty of the Chinese government." Europe is always an important priority on China's diplomatic agenda and China supports European integration and a united and strong EU. According to Wang, President Xi Jinping will visit Europe later this month as he kicks off this year's overseas trip. China welcomes Italy and other European countries to take an active part in the Belt and Road Initiative. Cooperation is still the mainstream of the China-US relationship and China has a positive outlook on it. Wang also refuted statements by some individuals that the two countries should decouple their economies. 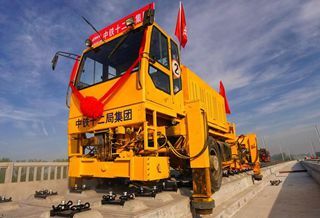 "Decoupling from China will mean decoupling from opportunity, from the future and in a sense from the world," he said, noting that the interests of both countries are inseparable. Russian President Vladimir Putin will attend the second Belt and Road Forum for International Cooperation in Beijing, while President Xi Jinping is planning to pay a state visit to Russia this year. The two countries enjoy deep political trust, win-win economic cooperation, and support each other in international affairs. Bilateral trade volume between the two last year exceeded $100 billion. China sees multilateralism as a cornerstone of the international system and will resolutely uphold a United Nations-centered international system. China will carry the banner of building a community with a shared future for humanity, continue to stand on the right side of history and on the side of the common interests of a majority of countries.